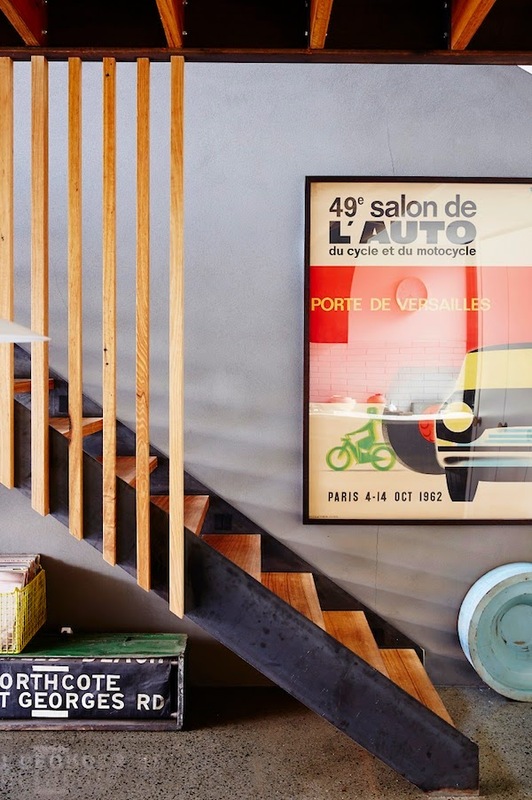 I have always been particularly fond of industrial/vintage pieces used throughout homes. I like the character and interest that they add. Many of these items tend to tell a story which I like. This Australian home above, as seen on The Deisgn Files, achieves this look particularly well. 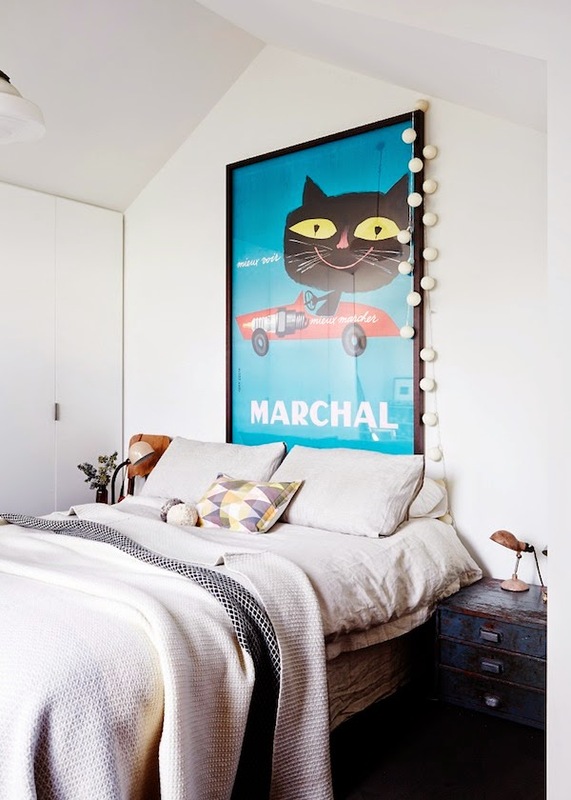 Adding playful and eclectic art pieces as these homeowners have done here, give the home a relaxed and fun vibe. 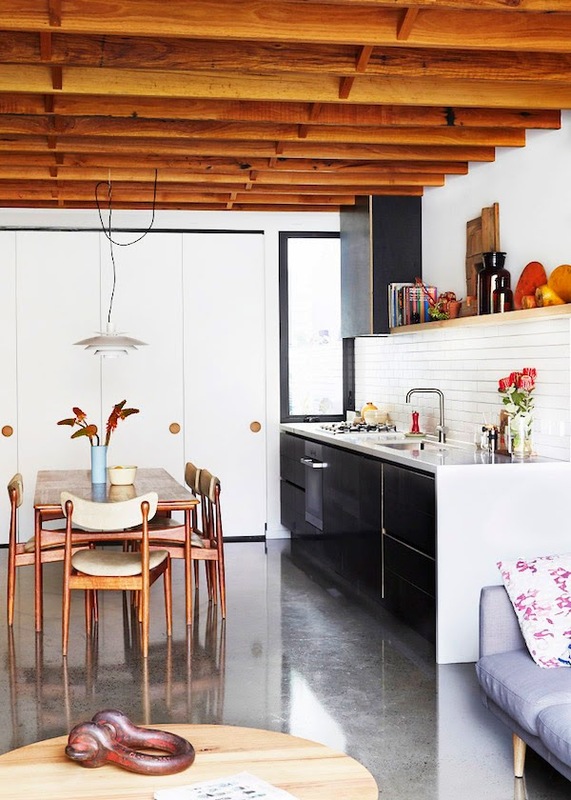 Completely head over heels for that polished concrete floor and give me those black kitchen cabinets any day, seriously. Head to shops such as So Vintage, The Vitrine and Flotsam and Jetsam when hunting for individual eclectic pieces to add to your home.